The healthcare systems around the globe has for a long time been a pressing social and political issue, and the inefficiencies and total cost of the U.S. healthcare system has been up for debate several times during recent years. As an example the U.S. annually spend in total more than $2 trillion on their healthcare system. This accounts for more than 15 percent of the nation’s gross domestic product. Personal consumer sensors and sensing solutions has the potential to improve existing healthcare services, and also extend the delivery of basic healthcare from both the public and the private sector. The possibilities new sensor solutions may bring can also reduce costs that would benefit health providers, patients and taxpayers. 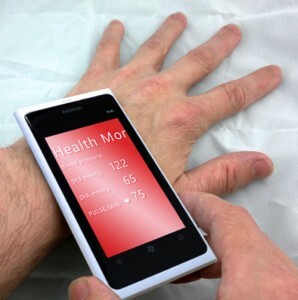 The Nokia Sensing X Challenge will be a series of three competition events, held over the next three years. Each event will have three phases: Registration, Preliminary Judging and Final Phase Judging. The winners of each competition will be the teams that submit best in class technology as determined by a non-partisan judging panel of cross-functional industry experts. “Partnering with Nokia is a natural fit for this competition. Health sensing technologies enabled by artificial intelligence, lab-on-a-chip, and digital imaging are advancing exponentially and will ultimately integrate with your phone. We need to expand sensor and sensing technology beyond disease management to areas such as public health and fitness”, said Dr. Diamandis. The announcement was made by X PRIZE Foundation Chairman and CEO Peter H. Diamandis, MD and Nokia Executive Vice President and Chief Technology Officer Henry Tirri, Ph.D. during their keynote address at the Wireless-Life Sciences Alliance (WLSA) Convergence Summit in San Diego, Calif.
For more information about the Nokia Sensing X Challenge, visit: nokiasensingxchallenge.org.